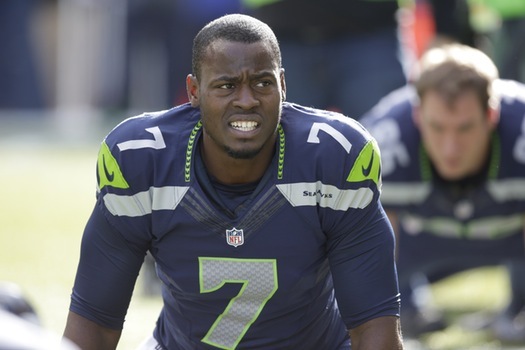 Former Vikings quarterback Tarvaris Jackson won't be prosecuted for aggravated assault with a deadly weapon after allegedly pointing a loaded gun at his wife, TMZ Sports reported. The 33-year-old was arrested and initially charged after the incident at a vacation home near Kissimmee, Fla., in late June. He later claimed to be broke and requested a public defender, though that request was denied by a judge. The police report said Jackson admitted to saying he should shoot his wife, but claimed she threatened him with a knife during the argument. Jackson's wife told police she grabbed an iron and a knife for protection. The Vikings drafted Jackson out of Alabama State in the second round of the 2006 NFL draft and he played five seasons in Minnesota. He was the starting quarterback in 2007 and part of 2008. Jackson signed with the Seahawks in 2011 and won a Super Bowl and two NFC championships while backing up Russell Wilson. He is currently a free agent.